Here is Step2’s Deal of the Day. 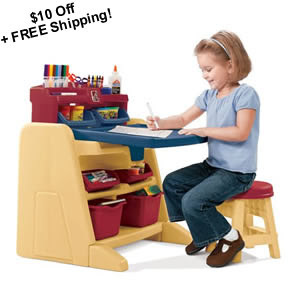 You can get this Flip & Doodle Desk for only $49.99 shipped! Just head over here and use the code FINALDEAL12 and you’ll see $10.00 fall off of the purchase price and your shipping drop to zero! Remember that this offer is good ONLY on 12/13, Sunday.